Daniel understands that a business’s objectives and goals are one of the most important aspects of a legal strategy; he prides himself on understanding the client’s business and industry, and takes personal responsibility for meeting the client’s objectives. He insists on personally seeing each matter through and holds himself responsible for obtaining the best results for his clients. As co-chair of the Commercial Litigation Practice Group, Daniel and his team are prepared every day to respond to whatever needs their clients have, no matter how large or small, and do so with the desire to add to their clients’ success. For more than 20 years Daniel has assisted business owners in both transactional and litigation matters with particular emphasis in the construction, heavy equipment, real estate, fuel, and banking industries. 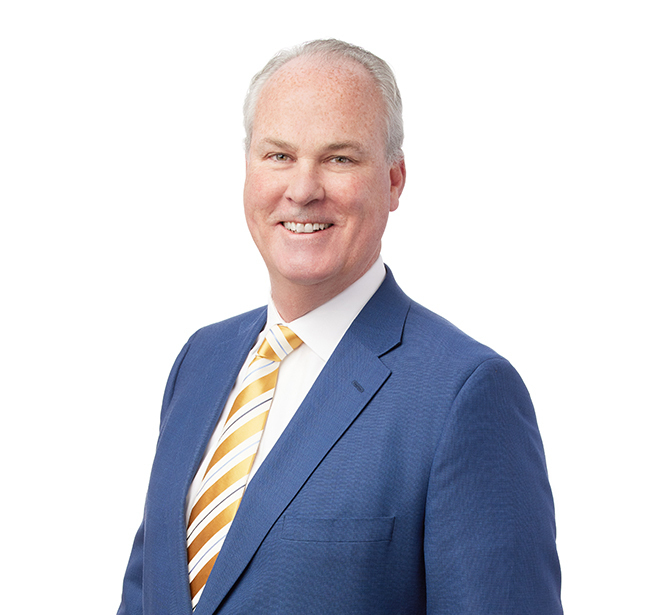 Daniel’s transaction experience includes guiding clients through every facet of a business acquisition or sale, from the start in preparing for sale, through negotiations, due diligence, closing, and even post-closing matters, such as indemnity disputes. He also handles real estate development including acquisition, zoning, private and public financing, and sale. In addition, Daniel handles litigation matters. He has tried many cases in state and federal court and has a significant depth of experience in administrative matters such as zoning appeals and tax appeals. Prior to law school Daniel studied finance and worked in the corporate world. His background, and acumen with numbers and financial concepts, allows him to provide another level of advice and guidance when evaluating terms of deals or analyzing litigation. Blockchain & Bitcoin Revolutionizing Your Industry?